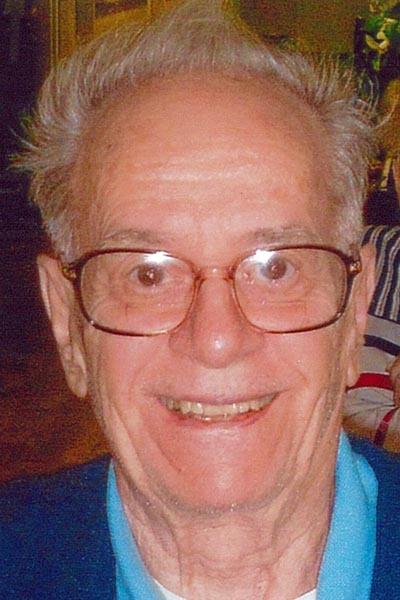 NILES — Anthony “Tony” Abruzzi, 91, formerly of Warren, passed away Sunday, April 7, 2019, at Trumbull Regional Medical Center. He was born Dec. 12, 1927, in Collongo, Italy, to the late Massimo and Rosina Abruzzi. He came to the U.S. in 1948. Tony was a chef at Abruzzi’s Cafe 422 for over 50 years. He was a member of St. Elizabeth Ann Seton parish, St. James Church. Tony traveled to Italy regularly later in his life. He enjoyed watching the Cleveland Browns, Cleveland Indians and soccer matches. He loved cooking for others, but was happiest when he was with his beloved family and grandchildren. Anthony will be sadly missed by his two children, Dr. Rose M. (Dr. Duane Burks) Abruzzi of Mansfield, and Dr. Thomas M. (Lisa) Abruzzi of Girard; and his three grandchildren, Dylan Burks, and Alexander and Annelise Abruzzi. He was preceded in death by his parents; wife, Pauline L. Abruzzi, who he married Aug. 8, 1955, and who passed away Jan. 27, 1981; two brothers, Guerino and Marco Abruzzi; and a sister, Fortunatina Abruzzi. Services were held. Burial is in All Souls Cemetery in Bazetta. In lieu of flowers, contributions may be made, in Tony’s name, to St. Elizabeth Ann Seton Parish, 2532 Burton St., Warren, Ohio 44484 or St. Rose Church Angel Fund, 61 E. Main St., Girard, Ohio 44420. Family and friends may visit www.peterrossiandsonfh.com to view this obituary, sign the guestbook and send condolences to Anthony’s family.